by Guyora Binder. Stanford: Stanford University Press, 2012. 368pp. Cloth $90.00. ISBN: 9780804755351. Paper $29.95. ISBN: 9780804755368. E-book $29.95. ISBN: 9780804781701. Reviewed by Adelaide H. Villmoare, Department of Political Science, Vassar College. Email: villmoare [at] vassar.edu. 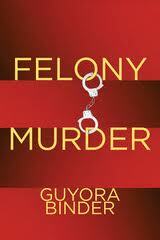 This exhaustive investigation into felony murder law interrogates aspects of justice and injustice Guyora Binder associates with the law across the United States. He sets himself the task of identifying "a principle distinguishing justified from unjustified impositions of felony murder liability" in order to reform the law to be in consonance with that principle and the history of US felony murder law. His focus is on "murder liability for unintended killing in the context of felonies," especially those that would not be considered murder absent the other felony. In staking out a position opposed by most legal academics, Binder believes felony murder law is here to stay, and he aims to "make the best" (p.6, italics in original) of the law. Binder's approach is that of "constructive interpretation," adopted from Ronald Dworkin. This two-pronged process constructs "a purpose that explains and justifies ... [a] practice and ... appl[ies] that purpose to resolve dilemmas" of the practice (p.8). Working within constructive interpretation, he seeks to reform the law in order to adhere to principles that justify the main elements of the law. Toward that end he unfolds the "principle of dual capability" that runs throughout his analysis. He contends that felony murder liability should apply for those who "negligently cause death by attempting felonies involving: 1) violence or apparent danger to life and 2) a sufficiently malign purpose independent of injury to the victim killed" (pp.8-9). Binder maintains that felony murder law, for the most part, "conforms to the principle of dual capability" (p.19) and that those who fail to recognize both the principle and the history of felony murder law contribute to its arbitrary and unjust application (p.20). The book has three parts: the first speaks to and from legal philosophers about the principle of dual capability; the second documents the history of the absence and presence of felony murder from England to the colonies through the nineteenth century in the US; and the third describes contemporary laws and the ways in which they reflect the dual capability principle and in which some states' laws could be brought more fully into line with that principle. Meticulously formulating his observations with attention to the liberal state and different schools of legal and political philosophy, Binder delves into the cognitive and normative and the instrumental and expressive dimensions of criminal action and views of culpability. He argues that the liberal state is not (and should not be) value neutral but rather must engage with values in order to pursue a "liberal society" (p.89). Felony murder law is a part of a principled liberal state addressing normative values. This section of the book is carefully, if densely, crafted and is most readily accessible to legal philosophers. The second section is more accessible to the general law and society scholar, and it offers a rather bracing walk through common and statutory law of felony murder. Most interesting is Binder's careful documentation of the absence of felony murder in English common law. He states that his findings are at odds with the established view that the US inherited its felony murder law from Britain. Tracing the development of US case law and legislation, particularly in the nineteenth century, he illustrates the ways in which the law has, in fact, developed. Still, Binder offers little political or social context for these developments and leaves his reader wishing for a richer, explanatory view, pointing perhaps to other changes in the liberal state or phenomena of legal and political significance like slavery, the Civil War, industrialization, or urbanization. Binder's argument is based on an assumption that felony laws will remain with us, largely because they are both pervasive and deeply ensconced; the latter chapters explore the current status of these laws and reforms he advocates. The third part of the book, which includes these chapters, considers contemporary laws across states and ways in which they can be altered to conform to the principle of dual capability and "to condition causation on foreseeable danger of death" (p.183). Contending, for instance, that burglary as a predicate felony for murder presents difficulties resulting in injustice, he writes, "Unfortunately, it is unlikely that legislatures will abandon a two-hundred year-old tradition of predicating felony murder on burglary." Burglary should not, however, be deemed "inherently dangerous;" there are risks of "convicting nonculpable accomplices." Only aggravated burglary or burglary "committed in a dangerous way" should be a "predicate felony" for murder (pp.196-197). His stance is that "the felony murder doctrine is not a morally arbitrary rule. Instead, it imposes deserved punishment for those who kill with a combination of two forms of culpability: bad expectations and bad purposes" (p.229). Binder's commitment to felony murder law is based not only on the history of entrenched laws but on the philosophical principle of dual capability. His conclusion unequivocally states that "felony murder doctrine is not a presumption, not a legal fiction, not a trick or weapon or device: it is a principle of justice" (p.259, italics in original). Reasonably believing that felony murder laws lacking the principle of dual capability can become more just, Binder nonetheless does not engage the question of why legislatures would make these changes beyond asserting that "No jurisdiction has clearly repudiated a requirement of danger, and there is a compelling argument for it in those few jurisdictions that have not yet decided the question" (p.207). Explaining what might propel legislatures to "purge non-forcible property crimes" from predicate felonies, for example, in ways they have not previously been so propelled would enhance his position (p.197). What political or economic reasons or forces might come into play? Are states facing such fiscal burdens, many of which stem from criminal justice policies, that they are more willing now than in the recent past to entertain any changes that lessen these burdens on the state (whether principled or not)? And if legislatures revisit proposals like Binder's, why would there be no possibility of revisiting felony murder altogether? To be clear, this is most assuredly not Binder's question because he finds much of felony murder law just. But it is a question prompted by this volume. And, in light of this historical moment of the liberal state, one of a carceral state, of governing through crime (Simon 2007), and of the centrality of criminal justice to the state (Wacquant 2010), perhaps it is a question that should not too readily be dismissed. Simon, Jonathan. 2007. Governing Through Crime. New York: Oxford University Press. Wacquant, Loic. 2010. "Crafting the Neoliberal State: Workfare, Prisonfare, and Social Insecurity." Sociological Forum, 25(2):197-220. Copyright 2012 by the Author, Adelaide H. Villmoare.